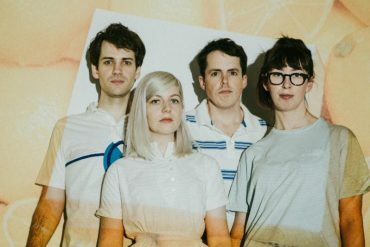 Having recently announced their sophomore album Antisocialites (out on September 8th via Polyvinyl), Alvvays today share the latest cut from the new record. Titled Dreams Tonite, the track dives deeper into the emotional territory Alvvays are known for. To write Antisocialites, Rankin traveled to Toronto Island – working in an abandoned classroom by day and sleeping a few feet from shore at night. I carried a small PA on the ferry in a wheelbarrow. Every morning I would listen to my favorite records on the beach, then I’d write melodies and record demos in the classroom. After tracking with keyboardist Kerri MacLellan and bassist Brian Murphy at Kingsize in LA, Rankin and guitarist Alec O’Hanley continued recording and mixing in their Toronto basement.